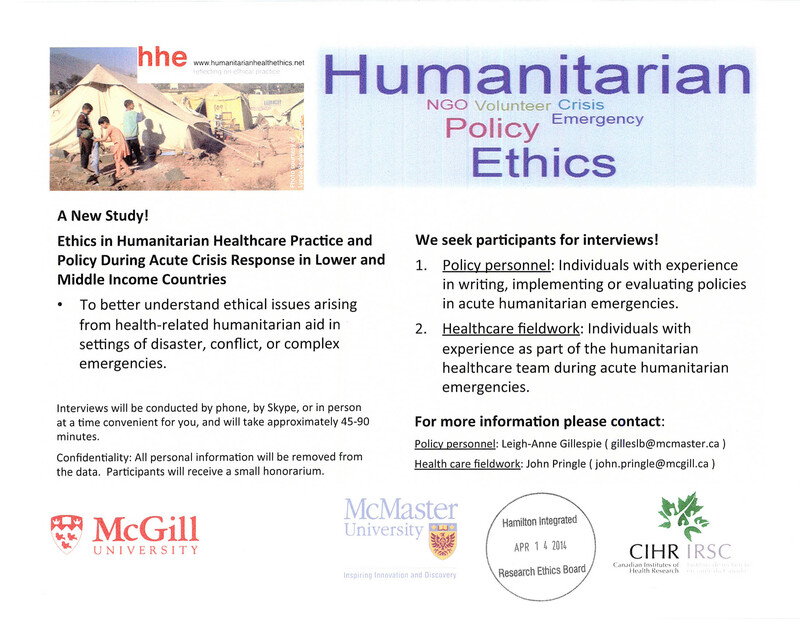 individuals with experience as part of a humanitarian healthcare team during acute humanitarian emergencies, to learn more about these experiences. Participation would involve a 45-90 minute interview by phone, Skype, or in person. What are types of ethical challenges that occur in resource poor settings and areas of disaster and conflict? How have healthcare providers responded to these challenges? What role if any have policies played in these challenges? What kinds of preparations/resources have been helpful, or would be helpful, in supporting healthcare providers in dealing with these ethical challenges?